San Diego State quarterback Christian Chapman was named Tuesday as one of the 49 candidates for the Johnny Unitas Golden Arm award, which goes out to the quarterback with the best accomplishments on and off the field. To be considered for the award, an athlete needs to show excellence in character, citizenship, scholastic achievement, leadership, qualities and athletic accomplishments. Chapman was also on the short list last season. 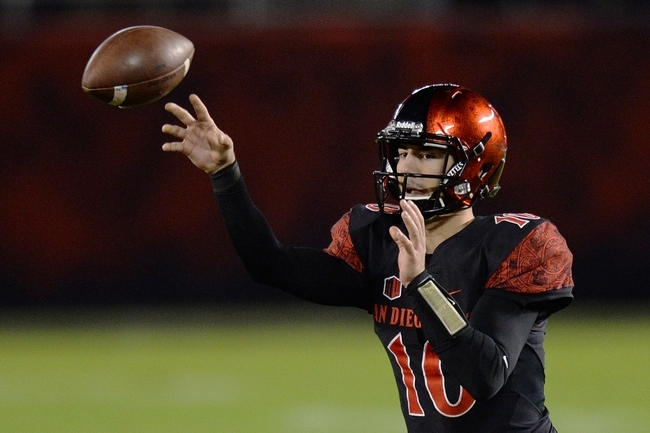 He is entering his senior season as one of winningest starting quarterbacks for SDSU. Among Aztec starters, Chapman ranks first in Division I in winning percentage at .793, tied for first in wins at 23 and second in D-1 in passing efficiency. Until 1968, the Aztecs competed in Division II. Chapman also holds the longest active streak in Football Bowl Subdivision for not throwing more than one interception as a starter at 29 games and the second longest streak since 2012. Chapman is entering this season with a 23-6 record as the starting quarterback, including a 4-1 mark in the postseason. Last year, Chapman was 146-for-243 for 1,873 yards and 13 touchdowns against four interceptions. The Aztecs kick off their season Friday, Aug. 31 against Stanford. The game was moved up one day earlier than planned earlier this year.